After a year as a new father, ten months as the University of Calgary’s writer-in-residence, a busy summer of magazine work, and half an autumn’s worth of teaching, I am ready to return to my major project: my walls book. Sometime this month I will travel to the US-Mexico frontier to write about the border barrier and how it impacts people on both sides of the fence. The border is huge, so I will focus most of my attention on the Arizona stretch in Yuma and south of Tucson. 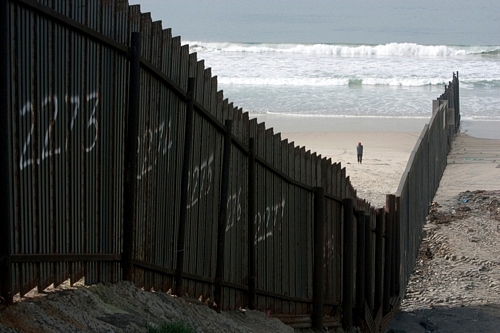 I will also visit the end of the fence – or, perhaps, its beginning – where the barrier dwindles off into the Pacific Ocean. My travels will also take me to the other side of the border to Tijuana and, possibly, to Nogales. My trip to Tijuana will perform double duty. I will conduct research for the book as well as work on a magazine feature about “reconsidering” the city as a cultural and artistic centre rather than as a collection of strip clubs, drugs, and burros painted with zebra stripes. I am still working out the details for these trips and have already made contact with some fascinating writers, artists and activists willing to show me around. Hopefully I’ll be gone before the end of the month. I look forward to updating this blog with dispatches from my travels again, rather than from my desk.